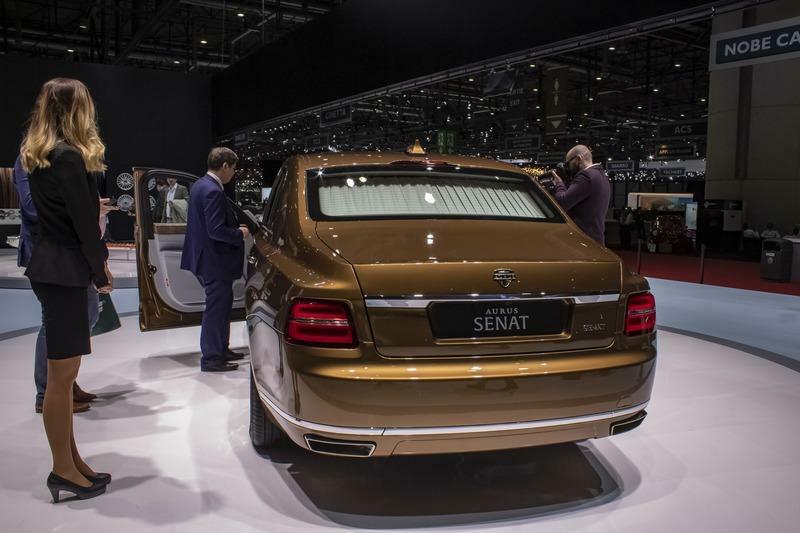 The Aurus Senat S600 is an interesting car because it's the equivalent of a made-for-everybody version of the Cadillac One, U.S. President Donald Trump's limousine. While the Cadillac One is a fortress on wheels underpinned by a truck chassis, the Aurus Senat has always been closer to what you can call your average full-size sedan. 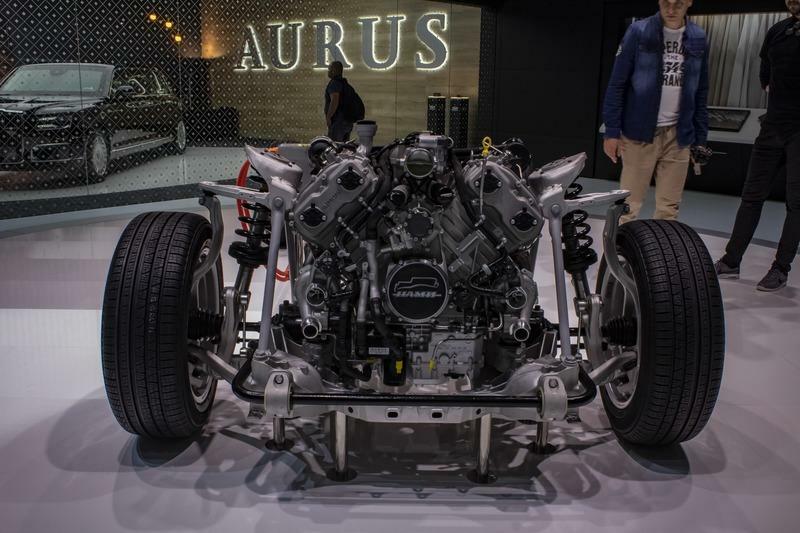 This is why Aurus was able to turn up rather quickly with a non-presidential version with a shorter wheelbase that will be built in partnership with Sollers in the special economic zone of Alabuga, Tatarstan Republic. The Senats meant for the Russian presidential motorcade were made in conjunction with the Russian state-run Central Scientific Research Automobile and Automotive Engines Institute (NAMI), according to Russia Today. Currently, NAMI can only manufacture about 250 Senats per year while Sollers is slated to assemble up to 5,000 units over a period of 12 months. The change was decided upon because current production levels were insufficient to meet the demand that exists, believe it or not, for this vehicle. At first, you could write it off as just another Rolls-Royce wannabe and, indeed, the Russians didn’t really bother to be creative when doing the design work. 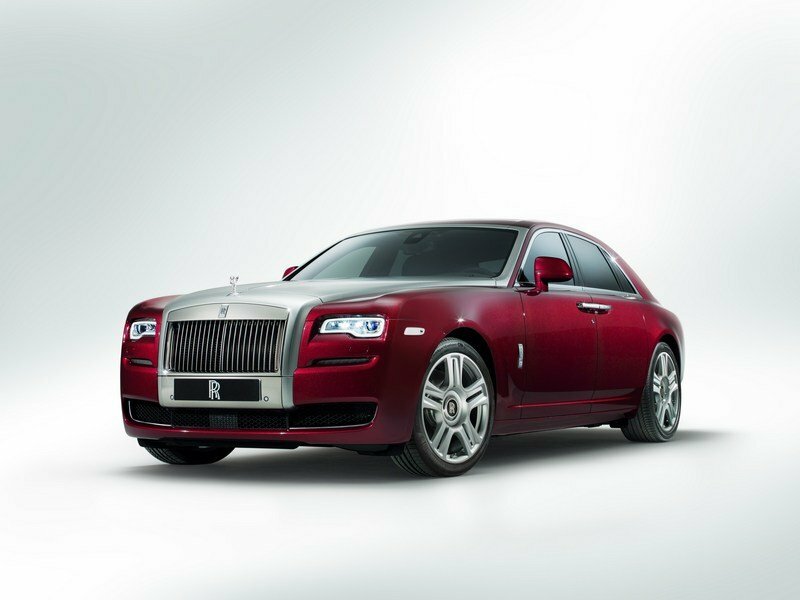 It looks a bit too familiar or, in other words, too much like a car that's already out there, the Rolls-Royce Ghost. It has almost identical headlights, similarly shaped and placed taillights and even the profile of the car and the roofline look dead on. You can’t fault Aurus’ designers from finding inspiration in what is, arguably, one of the best limousines money can buy but you can argue that there wasn’t much in the way of originality on their side. To my eyes, it looks like a Rolls-Royce Ghost if the folks at Rockstar North responsible for the Grand Theft Auto series set about redesigning a Ghost to fit in the GTA universe and not be plagued by lawsuits from Rolls-Royce. In the front, there’s a tall, rectangular grille that extends from the lower tip of the bumper all the way up to the ridge of the front hood. Like on a Rolls-Royce, the middle part of the hood is a bit taller, and there’s also an extra hump in the center where the grille’s frame gets slightly wider to accommodate the Aurus logo. The grille itself features 22 vertical, polished bars and two horizontal ones behind them. The continuity of the bars is only interrupted by the number plate holder. On either side of the grille, there is one air vent elegantly placed between two creases in the front bumper, one just above it and one just below the C-shaped chromed element. The lower bumper lip actually connects with the outer edge of the air vent. The protruding C-shaped ornament gives a rounded look to the air vent and also separates it from the thin line of LEDs that make up the indicator that’s in a recessed position immediately below the upper crease. 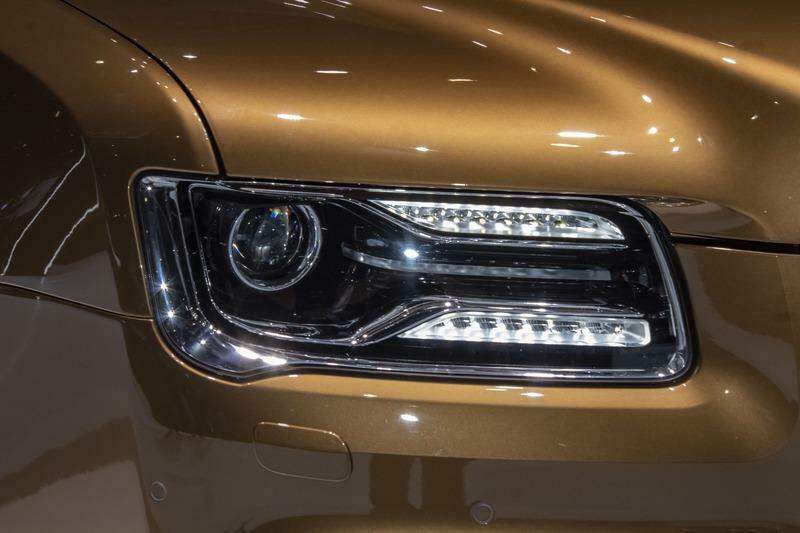 The headlights are placed in the upper corners of the front fascia at the intersection of the front fenders, the front bumper, and the hood. The design of the light cluster is a dead ringer of the Ghost’s with the main beam placed outboard and the led strips towards the inside, one above the other. From the side, you’ll first notice the ridge that starts around the front, where it rises from the level of the trim pieces attached to the side air vents and continues all the way to the back. This is the car’s waistline, and it’s a tall line, another element taken right from Rolls-Royce’s book of design. Granted, this design line isn’t adorned with a hand-painted pinstripe like on some Rollers. However, there is a thin chromed bar adding an extra bit of finesse to the rocker panels. Beyond that, there’s not much to talk about when it comes to the Senat’s profile. It doesn’t look special nor does it look out of place. You can see the drapes that can conceal whatever you’re doing in the back seat, and you can also spot that the giant 20-inch rims are shod by 255/55-series Pirelli Scorpion rubber. In the back, there’s not much to rave about either. The taillights are incorporated in the fenders which, like on a Rolls-Royce, are lower than the line of the trunk. The two elements within the rear light clusters are separated by the indicators. 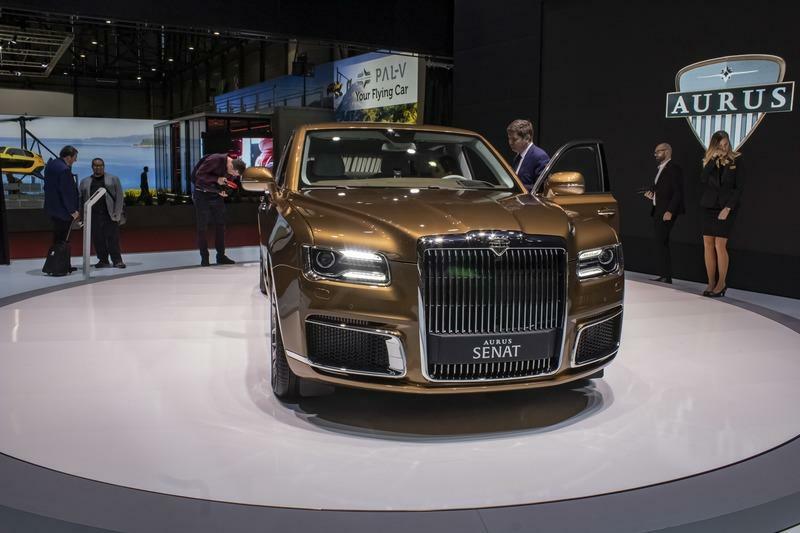 The trunk lid itself sports a classy chromed bar, as you’d expect, with the Aurus badge perched above and the ’Senat’ name spelled in capital letters to the right of the number plate area. The protruding rear bumper features two horizontal exhaust outlets underneath a set of three chromed bars that round out the rear of the car, including the rear overhangs. Sadly, the Russians couldn’t figure how to fit one seamless bar and had to make do with three that connect ungainly above the exhaust tips. There are also drapes to cover the rear window. If the exterior of the Senat is a bit dull due to its obvious resemblance with a Rolls-Royce, the car Aurus probably used as a benchmark when developing its own product; the interior is different but no less luxurious. The first thing you notice when you jump inside is the large screen that covers half of the dashboard. Basically, there’s one screen for both the gauge cluster and the center console. 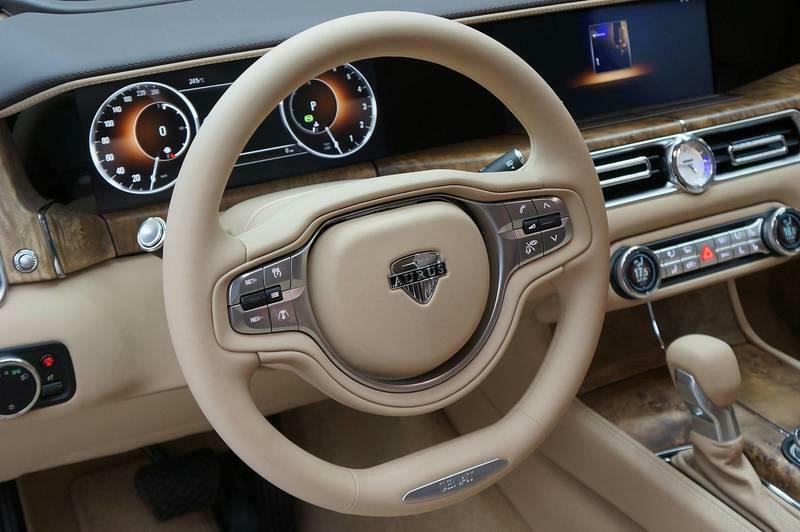 The screen displays the odometer, tachometer, and everything that the driver should see behind the two-spoke, leather-wrapped steering wheel and then there’s a blank area and the main infotainment screen in the middle, between the seats. Just below this two-piece screen placed in a recessed position, there’s a thin piece of wood that wraps around the dashboard and the two central air vents with an analog clock in the middle. 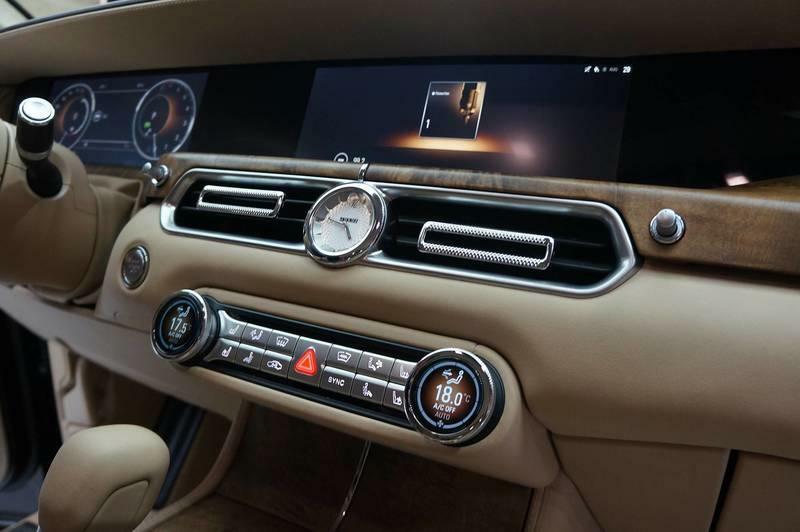 The buttons for the climate control are placed below within what Aurus calls "an intuitive interface." This button cluster is the only thing that looks a bit old-fashioned inside the Senat as the steering wheel itself is also quite nice with polished buttons (although I’m no fan of that plaque on the rim with the ’Senat’ name written on it) and is unusual with only two spokes. The center console features the shifter to the left, towards the driver, and two main circular knobs. One of them is solely to select the driving modes, and the other helps you navigate through the infotainment system. The Senat comes with no less than four driving modes including a ’Sport’ one that makes the car stiffer and more agile and an ’off-road’ one that prepares the gas-filled dampers for bigger bumps. 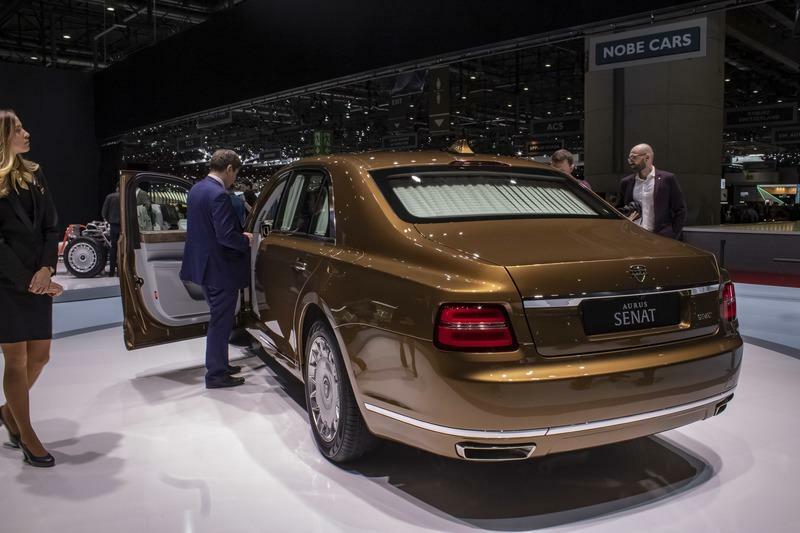 The rear seats of the Senat are similar to those on the S600 Guard, not surprising since Aurus shamelessly uses the same name, ’S600’, for its own car. While we can’t vouch for the quality of the materials used in the cabin, it all looks nice. You even get plushy designer pillows, sizeable screens attached to the headrests of the front seats and all kinds of massage options and climate control. 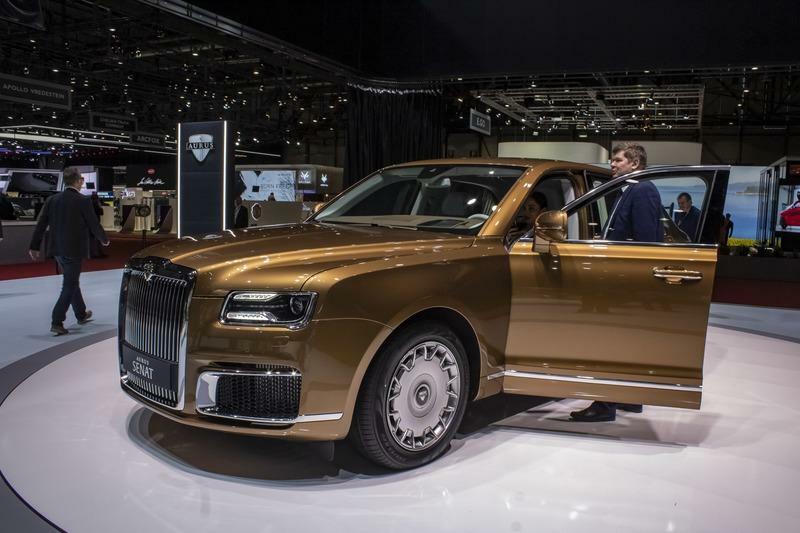 There’s also a built-in refrigerator with Aurus-branded crystal glasses and fold-out tables with leather trim for the really wealthy folks that are likely to sit back there. For my liking, the woody elements look kind of cheap on the model seen at Geneva with tan interior, and I don’t fancy the metal trims either because they look quite plasticky, at least in pictures. Then again, it’s hard to vouch for Russian build quality in the first place. The Senat’s interior is a case of ’to be determined’ once someone actually test drives one. The Aurus Senat at least doesn’t lend anything from anyone when it comes to the drivetrain. The underpinnings are bespoke as this limo features the Unified Modular Platform that’s standard for all Kortezh series cars. As such, the same platform underpins an MPV named Arsenal and will also be employed for a Cullinan-esque SUV named Komendant, both following the nomenclature of the Kremlin’s towers. The platform was designed to welcome mild hybridization and, indeed, the Senat boasts an electric motor placed in the trunk area that puts out 40 horsepower. This small electric motor helps the main unit, a 4.4-liter, twin-turbocharged, V-8 co-developed by the Russians with Porsche and Bosch. The engine is unique to the Senat but will probably be used on the other models that will be part of the manufacturer’s lineup in the near future. 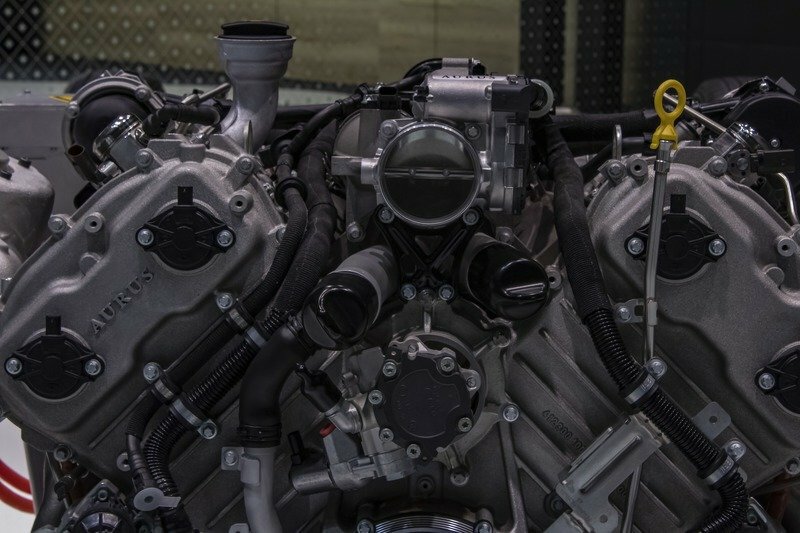 What is more, 6.6-liter V-12 is being developed in-house by the Central Scientific Research Automobile and Automotive Engine Institute (NAMI). This engine is poised to put out in excess of 800 horsepower, some reporting it could churn out as much as 848 ponies. But, until the V-12 is ready, Russia’s top beaurocrats, parliamentarians, senators, ministers, and the like will have to make do with the V-8-powered version. Granted, the V-8 is no slouch. In combination with that electric motor, it puts out almost 600 horsepower and 649 pound-feet of torque. The power reaches all four wheels through a nine-speed automatic transmission that allows for naught-to-60 mph time of about six seconds in ’Sport’ mode. That’s quite enviable for a car that weighs 5,952 pounds, about 500 pounds more than the Rolls-Royce Ghost and as much as 800 pounds more than the Mercedes-Benz S650 Maybach. And this is without all the armored plating and bulletproof windows available on the L700 version that Putin can be seen in. That one tips the scales at 13,670 pounds, but it must be said that it’s also longer measuring 260.6 inches, almost five inches longer than the Mercedes-Benz S600 Pullman. According to Motor1, the Senat features "a rear center wishbone axle and double wishbone front, plus an electro-mechanical parking brake and a hydraulic power steering system." 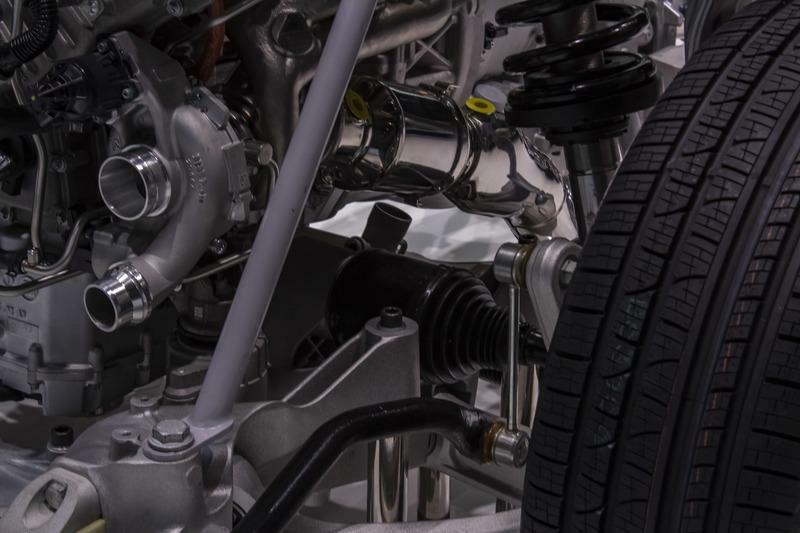 In the rear, connected to the axle is a multi-link suspension. Steering is of the traditional type, and there are brake discs behind all four wheels, naturally. We don’t yet know how fast the Senat goes, but I guess it might be electronically limited to 155 mph like its German stablemates in the ultra-luxurious class. 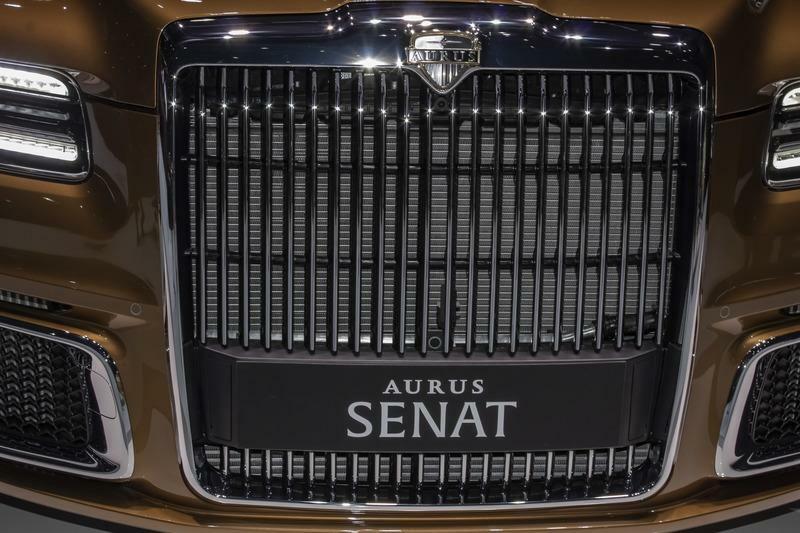 How did the Aurus Senat come to be? You may be looking at this giant slab of a car and wonder how is it possible for Russia to suddenly pop up with a car ready to go in the ultra-luxurious sector, seemingly out of the blue. After all, when you think about Russian cars, you probably picture a dodgy Lada or some dubious GAZ with ungainly looks, an interior stuck in the '90s and overall build quality comparable to American cars from the Malaise era. But things have moved on and, as with anything, Russia’s home-grown cars are getting better. 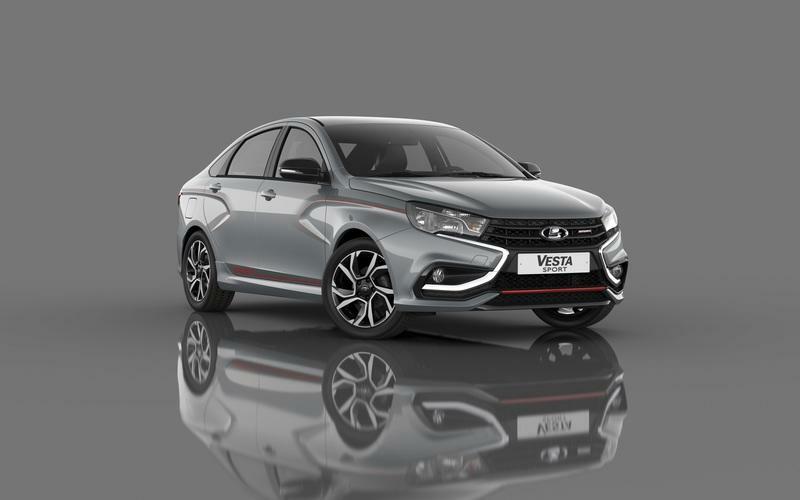 We talked last year about the launch of the Lada Vesta Sport, the peppy version of an otherwise dull compact sedan that is the Vesta. What’s notable, first and foremost, is that the Vesta looks modern. What is more, the Vesta spawned a successful WTCC Class 1 car but the Russian giant left the series at the end of 2016. Nowadays, you can see the Vesta TCR compete on the Nordschleife in the VLN series which proves that the brand is still active and relevant. But Russia’s luxury car, the legendary ZIL, is a true relic. The last ZILs were completed in 2014 in time for the Victory Day parade in the Red Square but, just as the cars were being readied up for the event, those in Moscow announced ZIL that the order has been canceled and the cars are no longer needed. Similarly, in 2012, ZIL built a bespoke 4112P limousine for Vladimir Putin but the President barely ever rode in it as the Aurus project was already underway and, probably for fear of being considered antiquated, Putin chose to be driven around in some Mercedes-Benz S600 Guard models as a stopgap until the Aurus became available. Granted, Putin probably was unaware of the most modern-looking ZIL ever made, the 1988 4102 ‘Ràyka’ built for Mikhail Gorbachev’s wife who, upon seeing the car, promptly rejected it as she thought it would be inappropriate to show up in such a monument of luxury and opulence at a time when average Russians were living on a day-to-day basis. The Aurus has nothing to do with ZIL (or ZIM or ZIS). It's an entirely new car born out of a new project that took five years to complete and cost the Russian state a lot of money - about $190 million as per the Russian Trade Minister, Denis Manturov (on top of the $110 million poured into the project by United Arab Emirates investor Tawazun). 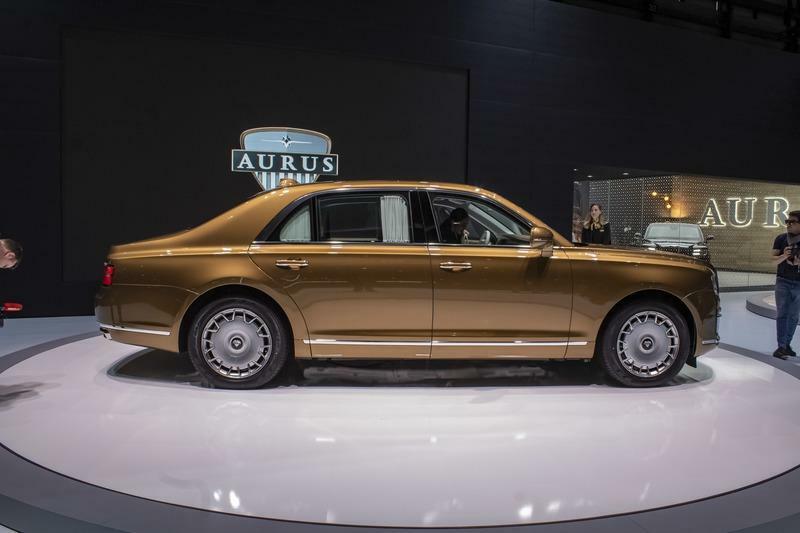 According to Russia Today, the "Aurus was born out of a project dubbed “Kortezh” (Cortege), which was aimed at giving a boost to the domestic automobile industry by investing taxpayer money into developing a domestic presidential car line." The finished product was first unveiled at the Moscow International Auto Show by which time Putin was already traveling in a bulletproof and bombproof LWB version of the luxury sedan. It’s unclear just how safe the Senat is, but it’s undoubtedly a huge update over the completely outdated ZIS. The ZIS, for instance, was powered by a gigantic 7.7-liter V-8 that was barely able to put out 400 horsepower through a five-speed automatic transmission. Older models were urged on by a 315 horsepower version of the same unit, but the power reached the rear wheels through a three-speed automatic from the ’70s. That’s a third of the number of gears that the Senat boasts. The modular platform also makes it easy for Sollers to make the car. The old ZIS was made by hand at the now dismantled facility in the heart of Moscow, and it took the craftsmen about 10,000 hours to complete one limousine. That’s about ten times as much as in the case of a Rolls-Royce. 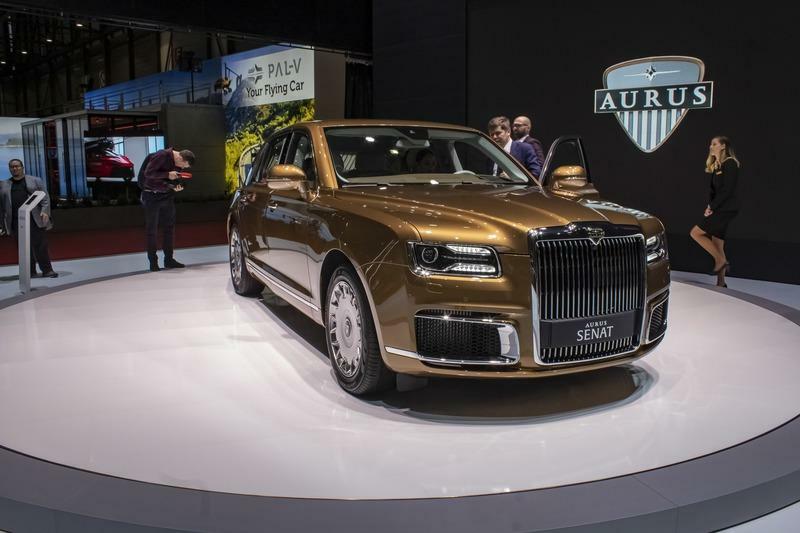 Talking to AFP, the Aurus’ Chief Designer, Vadim Pereverzev, said that "there is demand for a high-tech quality product made in our country, in particular for a car of such a class." When asked about the design of the car, Pereverzev pointed out that he takes any parallels between the Senat and a Rolls-Royce model that people make as compliments. He added that the old ZIS cars were, though, the main inspiration for the Senat, although you can’t really tell. "It was more that era that inspired our designers - an era of great achievements by our state when cars like the ZIS appeared,” Pereverzev said. 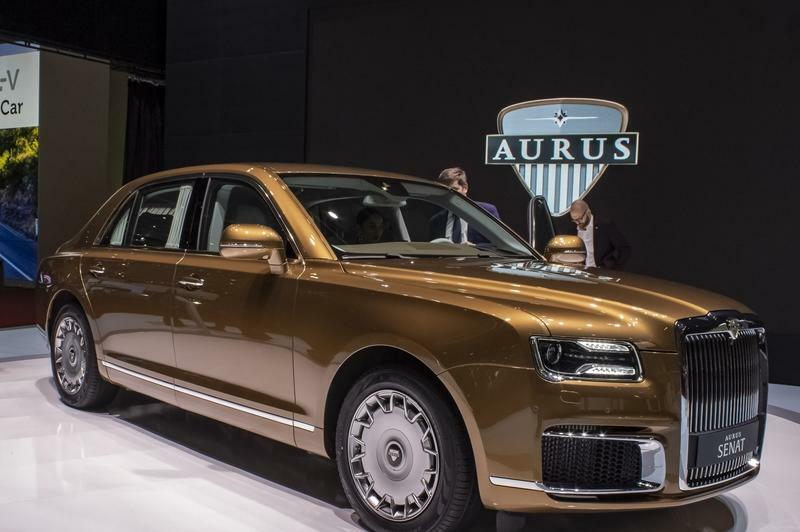 The Chief Designer of Aurus also pointed out that the clientele targeted by the company, "you could say they are tired of Rolls-Royces, Mercedes, and Maybachs.” You may think Pereverzev’s view is strange, but Aurus’ CEO, Franz Gerhard Hilgert, used to be the importer of Mercedes-Benz in Russia so they might know what they’re talking about. The Senat isn’t a cheap car and, frankly, it can’t be. With this being said, it’s not an expensive one either when you look at how much you’d have to pay for a Bentley, a Rolls-Royce or a Mercedes-Benz Maybach. That’s without thinking about an S600 Guard because we don’t know how much a civilian armored Senat will cost - although this option is available. Hilgert said that "the interested clients [in armored cars] you can cluster in groups – it’s governmental, who have their regulations to fulfill for national security reasons," he said. "Then, in commercial areas, the banks or big companies have the same rules. Their key people have to use an armored vehicle. Then there is the private audience who like to have it as well,” the CEO added. He also said upon the car’s unveiling in Moscow last year that the car will be priced between a Mercedes-Benz and a Rolls-Royce. Now, we know that the price tag is around $160,000 for a standard, non-armored Senat. For comparison’s sake, an S600 Pullman hovers between $353,250 and $414,040. Meanwhile, an S600 Pullman Guard exceeds $1 million. A standard S600, though, will only set you back about $253,550 but that’s still almost $100,000 more than the Senat. 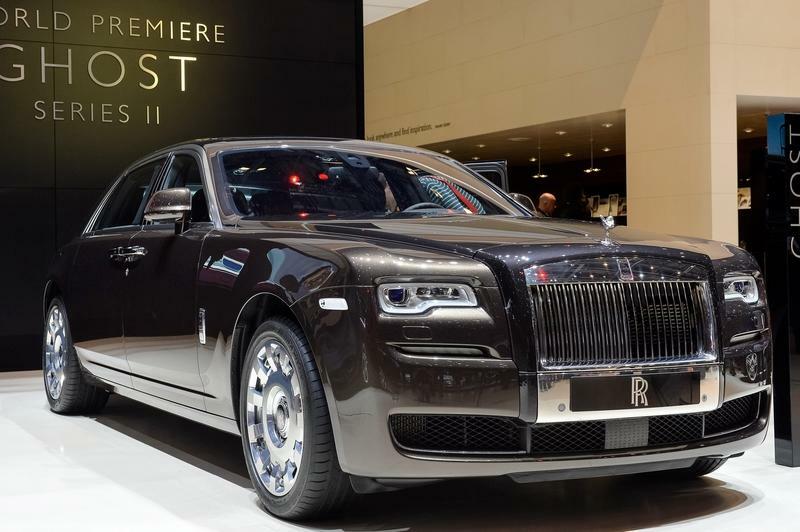 A Rolls-Royce Ghost is also pricey with a base MSRP of $232,000 while the EWB (extended wheelbase) version costs $345,900, more than double the price of a Senat. Granted, we don’t yet know how much the civilian version of the L700 will cost. What’s also noteworthy is that you’ll have to wait two years if you want a Senat. That’s because all the cars slated to be made this year and in 2020 have already been sold. That means Aurus has already sold between 300 and 500 Senats. The Ghost is, in essence, a more compact Phantom. The Series II model is powered by a 6.6-liter, twin-turbocharged V-12 capable of 592 horsepower and 575 pound-feet of torque. The Ghost is, then, almost as powerful as the Senat although Russia’s pride and joy puts out almost 75 extra pound-feet of twist. It has to be said, though, that the Ghost II features the same V-12 as the first version launched almost a decade ago. With this being said, the Ghost II does come with narrower headlights, extra chromed trim pieces on the outside and a tapered ‘wake channel’ on the bonnet, emanating from the Spirit of Ecstasy’s wings. Inside, the front seats are new, and there are new veneer and leather options available since the 2015 model year. The Ghost II is also available with a "Dynamic Driving Package" and the "Satellite Aided Transmission" technology which combines GPS data and information from sensors to choose the most appropriate gear in automatic mode. As you’d expect, the build quality remains incredible, and the cache of a brand like Rolls-Royce is incomparable. The S650 Maybach is a more luxurious S-Class if you ever thought one was needed. Assembled on the same Sindelfingen line used for the S-Class, the Maybach is longer with a wheelbase of 132.5 inches, enough for you to sleep comfortably in one of the two armchairs in the back. The S650 version is powered by a 521-horsepower, turbocharged V-12 that allows for a 0-to-60 mph time of just 4.7 seconds, at least one second quicker than the Senat although the Senat is more powerful. But this isn’t all that important. What matters is what you get when you pay well beyond $200,000 for one. Well, you get a lot on the inside as well as a more stylish exterior in comparison to your average S-Class. You get air-conditioned, heated, and massaging seats, heated armrests, as well as a system that pumps scented, ionized air around the cabin. On top of all that, there’s the 1,540 watts Burmester 3D surround sound system with 24 speakers, and I haven’t even started talking about the wood trims and the miles of leather that caress almost every surface. Maybach used to make its own cars back in the ’20s and ’30s and was even revived in the early ’00s but those limousines, the 57 and 62, flopped so now it’s basically just an over-the-top trim level for the S-Class. 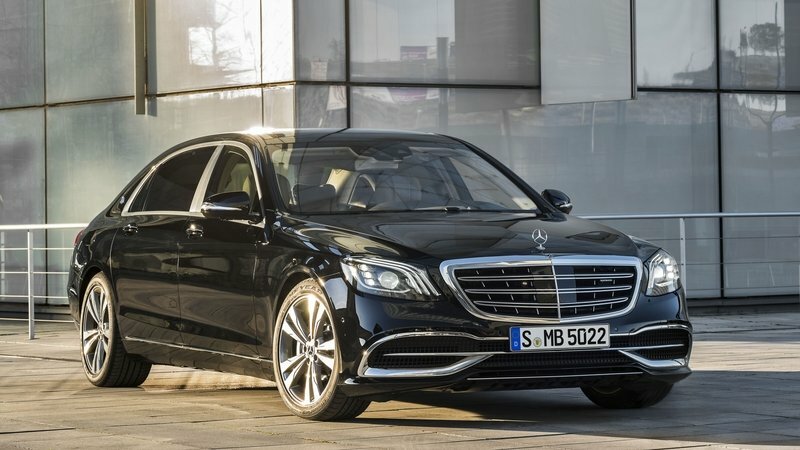 That Putin himself used the LWB Guard version of the S-Class before switching to the Senat, more due to national pride than anything else, is reason enough to consider the Merc before you even glimpse at the aesthetically unpleasing Aurus. How should you categorize the Senat? Under the "nice try" category or under the "close but no cigar" category? It’s clear that NAMI and the rest of the entities involved in the products are trying to deliver a properly well-endowed vehicle, but the car is not really helped by its appearance nor by its origins. It’s not that I can’t accept that the Russians can make a good car, is just that their reputation in this field isn’t quite spotless. At least not when the company’s CEO hopes that people will choose an Aurus over a Bentley or a Rolls-Royce. It’s a tall order to make people stray away from such established brands and, instead, try out a brand-new manufacturer whose only credentials lie within the fact that the Russian President trusts it. It may be enough to convince some local oligarchs, but I think it will take some time before Western ultra-rich businessmen will trade in their Phantoms, Ghosts, Mulsannes, Pullmans, and whatnot for a car that looks like the product of fictional auto manufacturer Enus.